Ivy Kanis began her mission with the single goal of helping those who are underprivileged within this community. She spends each day gathering, organizing and delivering much needed items such as clothes, furniture, toys and other essentials to those in need. This service is unique in the way that it is targeted; items are picked up, sorted out and distributed with care. Because of this, the benefit to residents of Prince George is two-fold; those with unwanted items can easily donate them, and those that are in need can receive the specific items they need. Many of the lowest-income earners have no way to transport donated items, and Ivy fills this gap beautifully. Along with helping individuals and families in Prince George, Ivy delivers donations to the following organizations: The Aboriginal Clinic, The Men’s Shelter, the Fire Pit Drop-in Centre, Family Resources, The Friendship Lodge, Active Support Against Poverty, AWAK Women’s Shelter, YAP Drop-in Centre for Teens, the ACE Centre Kitchen/Drop-in Centre, the Shepherds Corner Drop-in Centre and the Hadih House. None of the items collected have ever been sold, nor will they ever be sold. To date, this work has been done without ongoing outside funding or sponsorship for overhead costs. There have been generous donations of fuel, mechanical services and an older vehicle have made it possible for this work to continue. A big thank you to all who donate new and used items, this work couldn’t be done without you! 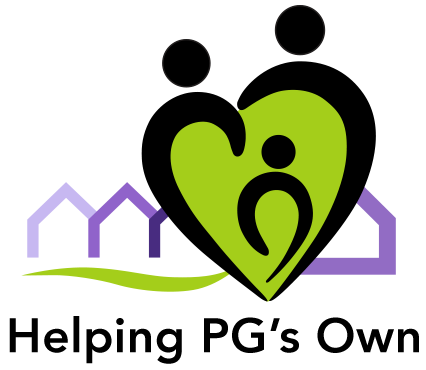 © 2016 Helping PG's Own. Mitten photos by Vivian Aubrey.